This year we are doing our springbos activity holidays from 7 April till 7 Mei 2017. It would take place at Don Bosco Rijswijk and at Don Bosco Amsterdam. In Rijswijk, the major role of the volunteer is to assist children/ youth in the holiday activities of Don Bosco Rijswijk, special activities with the children of two primary schools (The aim is to give a recreative and enjoyable time for the children from the age group of 4 to 16 who cannot afford to have expensive holidays) and to help out in Amsterdam with Queens Day activities for collecting money for the street children in Africa (Zimbabwe). 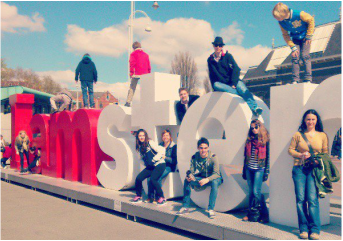 In Amsterdam, the major rule of the volunteer is to prepare and execute the programs for the children age of 7 to 13, who cannot afford to have expensive holidays. The project is taking place in one of the parish churches of Amsterdam Nieuw-West. They would be working together with the Don Bosco community, but they are the main actors of the project. The volunteers are also expected to join the community activity of the parish (during Easter holidays). Together with others, the volunteers are also helping out with Kings Day activities for collecting money for the street children in Zimbabwe.